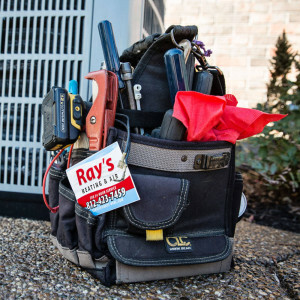 Ray’s Heating & Air offers some of the finest products available to Homeowners; Brand names products such as American Standard, Heil, WaterFurnace, Honeywell, Aprilaire, Lifebreath, ADP, Modine, and Reznor. We understand that no other single system in your home or business plays a larger role in your comfort or how much you utility bill will be than your heating system. That’s why “We care about your indoor air” is our slogan. We specialize in your comfort and cost effective heating solutions. We can help you maintain and repair the existing system you have, or replace it completely. As a Customer Care Dealer, we can provide you routine maintenance, extended warranty repairs and immediate emergency response. We have a custom sheet metal facility that allows Ray’s Heating & Air to control the quality and design of your Comfort system. Indoor air pollution can affect you and your family’s health. We can help with our annual check program and products like UV lights, humidifiers and Dehumidifiers. An annual check program enables us to identify problems that affect your comfort and indoor air quality. With improved duct design and sealing, we can greatly improve your comfort.